400 sbc cam and 202 heads. What a beauty! The 50s auto club plaque is a nice touch. Great car. 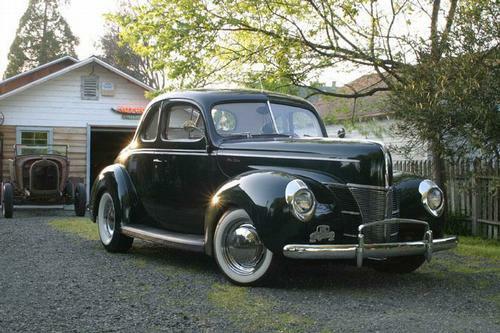 Question; is every Ford coupe an 'opera' coupe, or only the one's with a fold down seat? Incorrect x 2. Ford never used the terms jump seat or opera coupe in 1940. They called the seats "auxiliary seats". The coupe with such seats was called Business Coupe; without such seats was simply Coupe. Both styles were available in De Luxe and standard (also not a Ford term) trim. Looks a lot like a car my Grandma had back in the 50s. She called it Black Beauty. On May 7, 2011, there were two identical twin 1940 Ford coupes parked outside a hamburger cafe at Roseville, MN. They were side-by-side and were mirror images of each other. Black cars with wide white sidewalls. One had an extra grill guard above the front bumper, otherwise they seemed to be exact copies. In the early 1950's I had a 1936 Ford five window coupe, and later a 1940 Plymouth business coupe, so I enjoy seeing cars like that 60 years later. One of my dream cars, and will be one for me to enjoy some day. 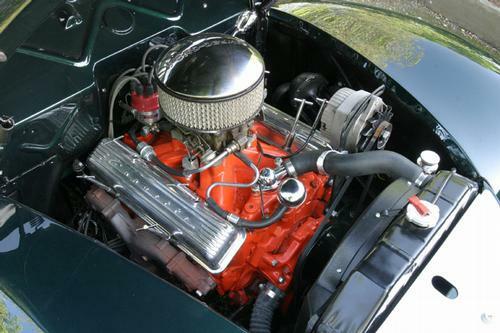 I am looking to trade my 32 ford roadster for a clean coupe like this one. My name is lance troupe and if you were to look under readers, click on the 40 and older, you can see the car, it has a Duvall windshield and is painted sapphire blue. check it out its a nice car. I just bought a 40 deluxe business coupe without the back jump seat. I'd like to change the interior to incorporate the jump seat. Is the body (sheet metal) the same on both coupes? 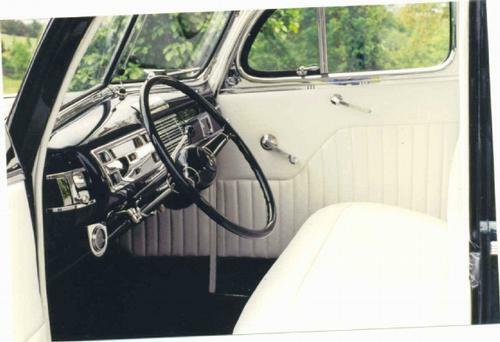 If it doesn't have auxiliary seats (that's what Ford called them), you have a Coupe, not a Business Coupe. The bodies are the same but the interiors are different. Most noticeably, the Coupe has a parcel shelf and its seat has a solid back that swings up to access a luggage compartment behind the seat. The Business Coupe has the auxiliary seats and no parcel shelf. The seat back is split and folds forward to access the auxiliary seats. I suppose it's possible to install auxiliary seats in a Coupe but good luck finding all the necessary parts. What is the difference between an Opera coupe & a Businessman coupe?? 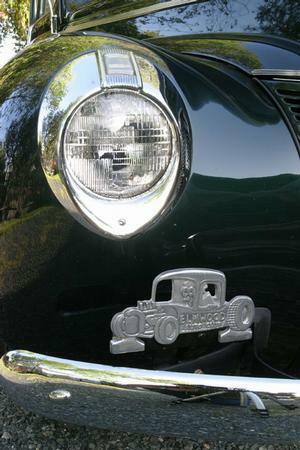 I was always a great fan of the 1940 Ford. You have a real beauty!